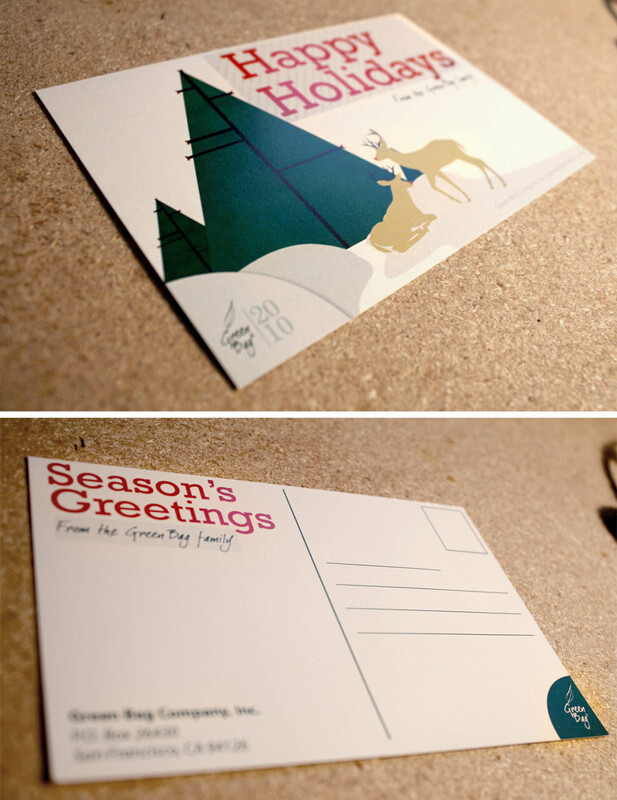 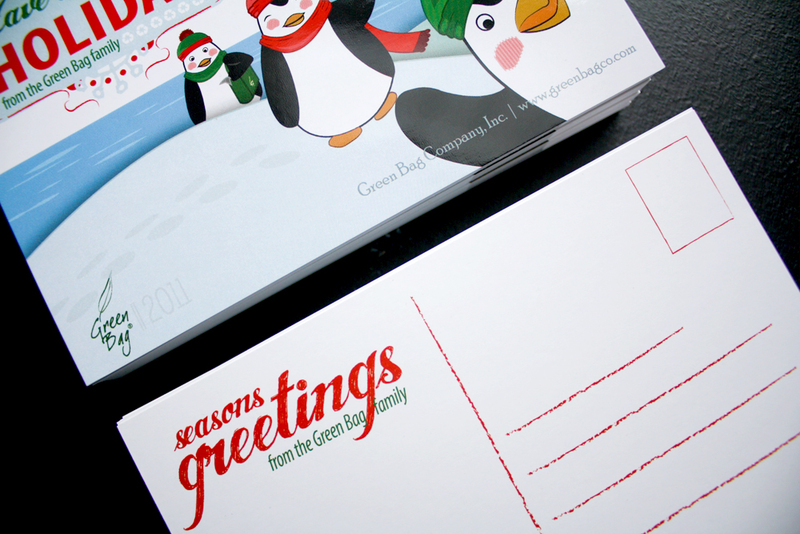 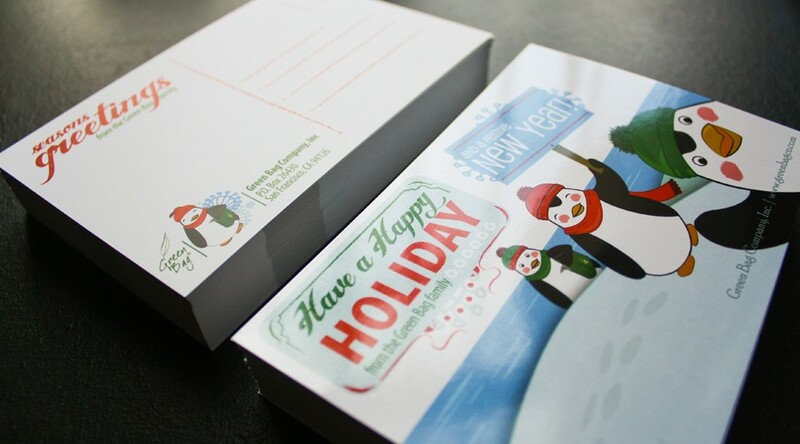 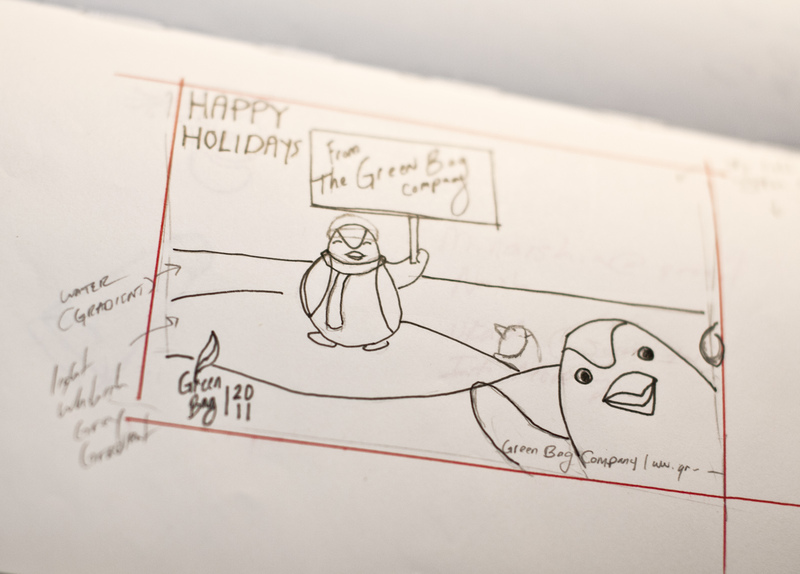 Postcard designs for the Green Bag Company Holidays of 2010 and 2011. 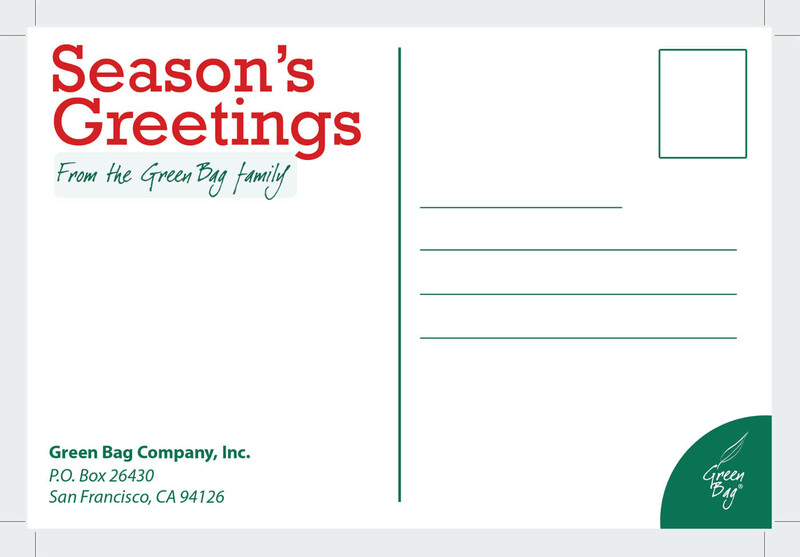 For the postcard of 2010 I used photographed fabric from our "Classic Green Bag" as texture for the trees. 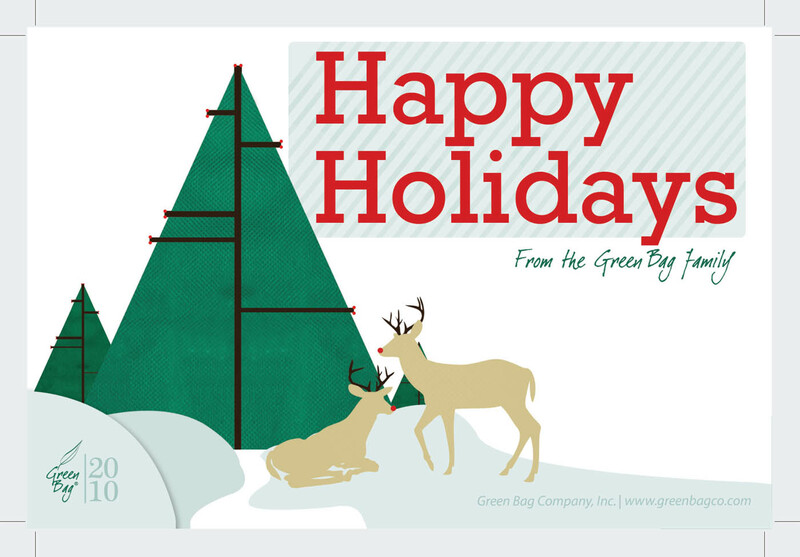 Each year I make it a point to incorporate the Green Bag product in either a very subtle or a highly exaggerated manner.